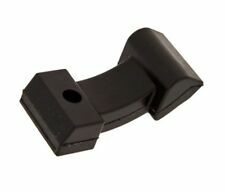 Gibraltar port hole protector rings are designed to protect the ported hole cut into your bass drum head. These two-piece rings snap onto both sides of the bass drum head, providing extra protection. 14" 8-Hole Die Cast Batter Hoop. Bass Drum Claws & Tension Bolts Set. Set of 16 claws and tension rods. Don't let your performance get away from you! A durable, lightweight and convenient alternative to heavy, fraying, dirt-collecting rugs, this non-slip PVC composite drum mat prevents bass drum "creep" on any surface. The Dunnett R4L brings. beaded-shell snares from most manufacturers. 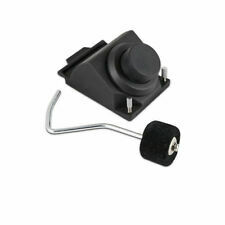 The Dunnett R4L's throw off lever. patented R-Class features to your Ludwig beaded-shell snare drum and to. swivels for easy access on either the left or right side of your snare. 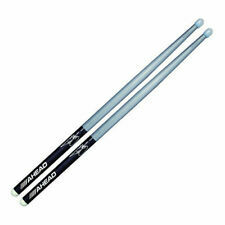 Bass Drum T Rod 10pcs. The first feature is a pearl-colored, specially formulated durable finish that protects the tip and shoulder area of the stick to slow early chipping and cracking. Patent Pending. With Professional touring, teaching, and building experience in all facets of the percussion world. They are not made by Yamaha and the finish is not Yamaha quality. 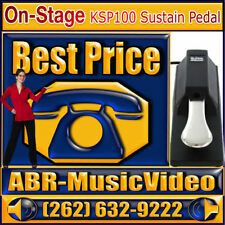 At less than the price of one left or right Yamaha spur, they are a solid value. 12" 5 Hole Die Cast Hoop. Single Position Throwoff - Black. New Vic Firth SBAG2 Drum Stick Bag. Holds 24 pairs of sticks and mallets. Contains 2 small accessory pockets; 4 outside pockets include one large enough for sheet music. Water resistant leather like vinyl with double stitching. RTOM Black Hole Snap-on Mesh Practice Pad - 13"
Snap it on, tune to your desired tension, and you’re ready to go. A revolutionary way to practice on your drum set and keep those around you happy. Simply clamp the pedal to the extender, and then slide the extender under the hoop of the Black Hole until it locks in place. Tighten screws till firmly snug, do not over tighten. These durable monsters are both light weight but durable enough to take a serious beating. Hand made, cast, molded from a special highly durable plastic and finally hand painted to give an authentic dirty bone look. 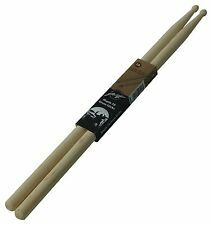 5 pairs – TM/2B Taylor Concert Sticks (Hickory Sticks with wood tip). 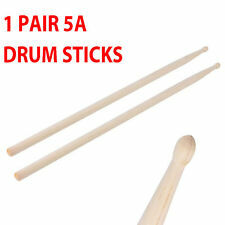 5 pairs – TM/5B Taylor Concert Sticks (Hickory Sticks with wood tip). 2 pairs – 7A Cannon Concert Sticks (Oak). This contains a total of Set/Lot of 20 new pairs of drumsticks. NEW - ROGERS DYNA-SONIC SNARE RAIL WITH SNARE WIRE. Rogers' patented. Dyna-Sonic snare rail gives you the snare sensitivity you need without choking. your tone. Just attach the snare. your snare wires to taste. This is six pairs of brand new Vic Firth American Classic Rock Drum Sticks. These are hickory and have wood tips. Shipped with USPS Priority Mail. The brackets are P1216D and are the standard used by Ludwig for many decades. All mounting screws and backing plates are included as well. MPN: LC5023TL. A broken string is not considered to be a "defective" product and/or "not as advertised". Chestnut PV leather stick bag. walker& williams make great products,very grateful for this item. Room for 10-12 pairs of sticks. Pleasure to work with! DPV-1 Stick Bag. 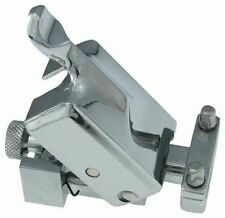 This DPV-1 stick carrier is from their new series of drum accessories. 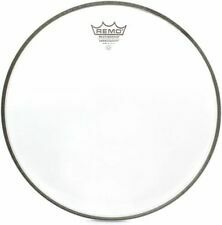 Can be used as a resonant side bass drum mute. Easy to install and remove. The Drum Rug is crafted with non-skid rubber-trim edging. 5.5' x 4.5' heavy-duty fabric rug will last for years. If you’re not satisfied, neither are we. It’s that simple. This includes 1 Snare Side and 1 Batter Side Super Hoop. The thicker wall makes it very rigid and they are a little heavier than a die cast hoop while retaining the benefits of a triple flange. 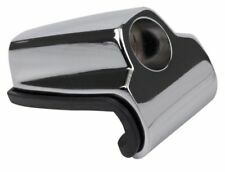 Air Pocket Ft Leg 3pcs - Long Black Nickel. MPN: LC1308SP. Ludwig Classic Curved Disappearing Bass Drum Spurs. Bass Guitars. Retract Into Bass Drum Interior. These will be refused and sent back without notice. New Arrivals. Selecting and purchasing a product online can be a very difficult process. 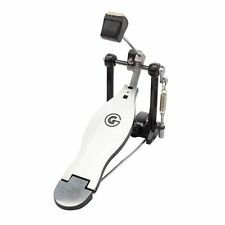 Great for keeping steady bass drum rhythms with your foot while playing grooves with your hands. The soft foam beater is designed specifically to get a deep bass sound from any cajon. Drum head whether it's a snare, djembe, timpani - it even works on your banjo! DrumDial Drum Tuner Features This tuner. a far more accurate tuning than you would with a typical torque-based tuner. Model: OPT1314. 13"-14" Depth Toms. Pearl Opti-Mount. These investigations can take several weeks to conclude. The item(s) must be unused and free of any signs of use, wear, stick marks, smudges, and/or fingerprints. PureSound Snare Drum Wires: Blasters/Concert/Custom/Pro/Twisted/Super 30 + MORE! Set it, and it remains in the desired position. Dyna-Sonic Snare Rail Unit with 20 Strand Snare Wires. It also features 3 large spurs to keep it secure on any carpeted surfaces. If you’re not satisfied, neither are we. It’s that simple. Set of (3) NOS Vintage Rubber Feet for Drum, Cymbal Stands. 5/8x1/8" Opening.